Inspired by the adventure of travel, comes a range of new accessories which are now available online from Mocha. Cork Board Map is a pin board designed to look like a map of the world. 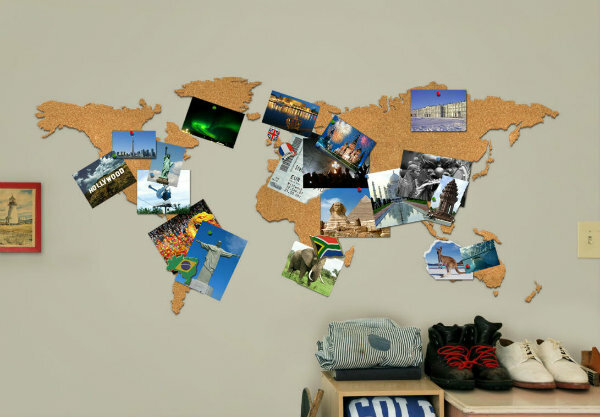 Made from cork, the self adhesive cork board allows you to create your own personalised world map. 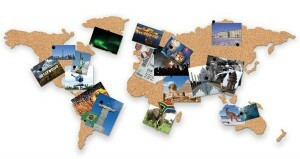 It can be used to create a travel collage. Attach pictures, mementos, tickets and postcards from your trips to create a unique souvenir. It’s also a great way to plan a trip, or create a travel wish-list – complete with inspirational images. Whether you use it as a pin board in your kitchen or home office, or even leave it plain, the Cork Board Map makes a striking decor accessory for any wall in the home. 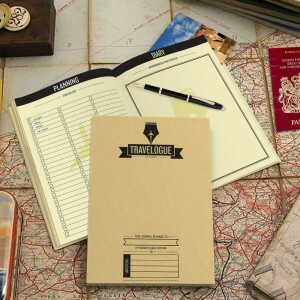 Travelogue Travel Journal is the perfect diary for recording all your travel adventures. There are 64 pages of high quality paper to record every step of the journey. It also features helpful travel advice and tips. Plus, there are eight miniature scratch mas corresponding to different regions of the world. So you can scratch off where you have been. The result is a definitive record of amazing times and memorable experiences in far flung places.